Car insurance discounts for dash cam owners - Which? Some car insurance firms offering discounts if you use a dash cam. We've outlined which car insurers will save you the most money if you have a dash cam. It may have taken a while for them to hit the mainstream, but dash cams are now commonplace on UK roads. It's easy to understand why: they're fairly cheap, easy to use and their benefits are immediately clear. Dash cam footage is now accepted and regularly used by both the police and UK courts – it was only a matter of time before insurers started paying attention, too. Discounted car insurance us now being offered by several big-name UK insurers. Keep reading to find out the best deals. See our expert pick of the best dash cam, based on the results of our independent dash cam tests. 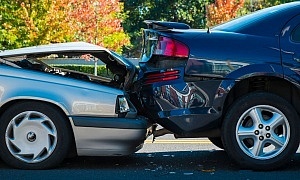 Axa is one of the bigger names in the UK car insurance industry. It's offering new and renewing customers a no-questions-asked 10% discount when you take out a car insurance policy if you use a dash cam. The Axa website says that the dash cam must be 'permanently fitted' in your car. This means that it must record the road ahead on every journey you take. A professional installation is 'preferred' but if you've done it correctly yourself that shouldn't cause problems. Axa also states that mobile apps that convert your smartphone to a dash cam are not acceptable. You must also be able to send Axa footage on request. 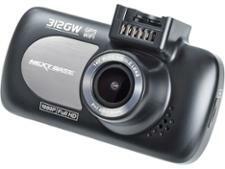 Swiftcover is offer a 12.5% discount if you use a Nextbase dash cam and you're a new customer. Otherwise the conditions of the discount are the same as with Axa, too: which makes sense seeing as it's a wholly owned subsidiary of Axa. The camera needs to record every journey you take, you must be able to provide footage where asked (although Swiftcover says it won't ask for any unless you've been in an accident) and a mobile phone is not an acceptable recording device. 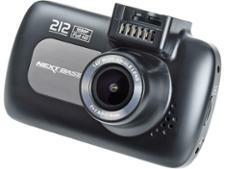 Find out which Nextbase dash cams we recommend. It's a lesser-known insurer, but Adrian Flux offers one of the most generous dash cam discount for drivers – up to 15% off. It's available to both renewing and first-time customers. 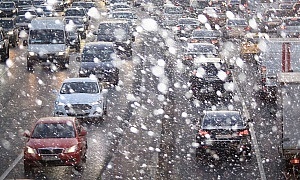 Adrian Flux claims that the provision of dash cam footage can help speed up the claims process. The main condition for this discount is that the dash cam you use has to be one of the models listed on its website. It's quite extensive – see it here. The 20% discount offered by Sure Thing! is the best on our list. 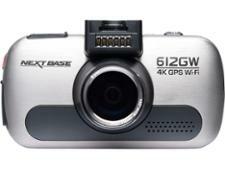 To qualify, your dash cam must be one made by Nextbase. You can see what we make of all of Nextbase's models with our guide to the best Nextbase dash cams, including which ones to avoid. A dash cam is only as useful and effective as you make it. It should be secured in a central position on the windscreen, tucked behind the rear-view mirror. Ensure it's pointing in the right direction and fully captures all lanes of the road ahead. It doesn't take much to accidentally unplug your dash cam, plus many dash cams will still power on when disconnected, running on a very limited internal battery. Make sure it's plugged in when you start up, so it won't die on you 10 minutes into your journey. 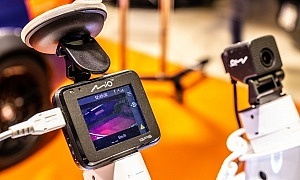 Almost every dash cam we've tested features loop recording. This automatically erases the oldest saved files to make way for newer ones when the memory card fills up. If you don't save important footage to your smartphone or computer soon after an incident happens, there's a chance it will be overwritten and you'll lose it forever. If you leave it too long you might also forget the time and location of the incident, meaning you'll need to spend an age looking back through dozens of generically-named files. If you send the file as an attachment, it risks losing fidelity and clarity. Uploading it to a filesharing service, like Dropbox, or send it to your insurer on a USB memory stick. Our tests have found that footage varies between dash cams. With some producing blurred video that could prove useless in the event of a crash. Make sure you only buy one of the best dash cams.